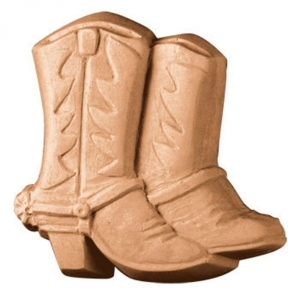 Our Boots & Spurs Milky Way Soap Mold features the clean-cut, iconic image of cowboy boots we all know and love. This mold is perfect for western-themed parties or as a gift for a cowboy or cowgirl in your life. Soap Bar Dimensions: 3.5" x 3" x 1.25"
Notify me when Boots & Spurs Soap Mold is in stock.